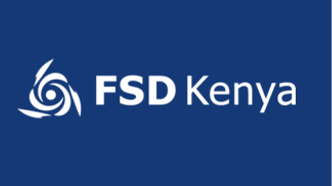 The Kenya Financial Sector Deepening (FSD) programme, FSD Kenya, was established in early 2005 to support the development of inclusive financial markets in Kenya. FSD understands financial inclusion as being about harnessing the power of markets to improve people’s lives. Exceptional gains have been made in expanding access to finance over the last decade in Kenya. FSD’s strategy for the next five year is to build on this foundation in order to create real value for low-income people through better financial solutions. Drawing on a detailed understanding of market systems and a clear vision of the future, FSD looks to address identified systemic constraints and bring about large-scale and sustainable change. FSD is an independent Trust financed by development partners working with the Government of Kenya (GoK). Our current funders are the UK’s Department for International Development (DFID), the Swedish International Development Agency (SIDA) and the Bill & Melinda Gates Foundation. For more details on this FSD Kenya role, positions in Kenya and any Movemeback opportunity across Africa, apply today to become a member. Membership is free and simple. We welcome all those with an interest in Africa and a track-record for professional, leadership, entrepreneurial, creative or academic excellence.